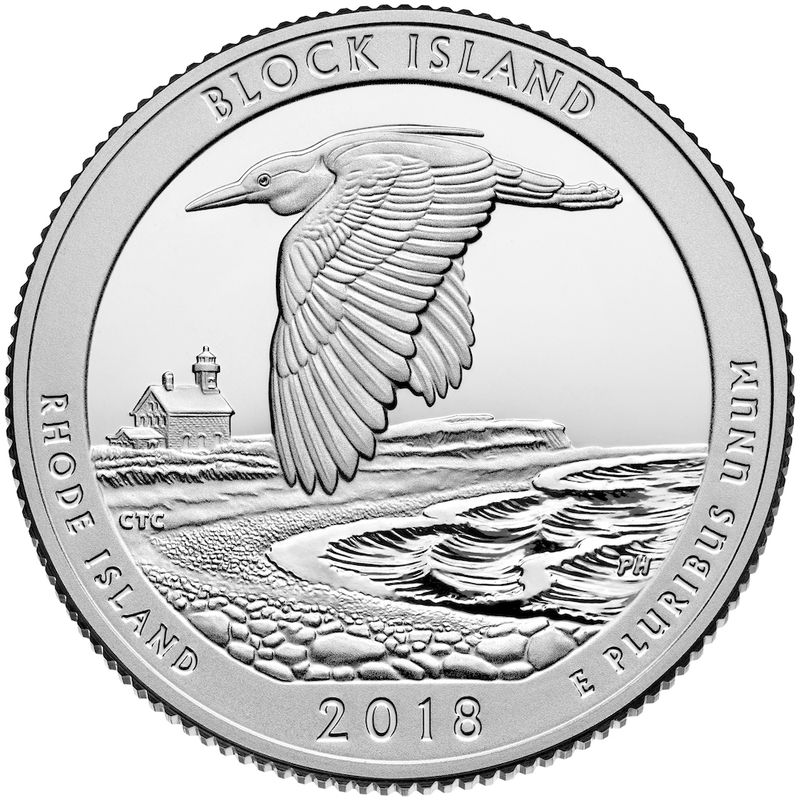 WASHINGTON – The United States Mint (Mint) will offer bags and rolls of quarters honoring Block Island National Wildlife Refuge in Rhode Island starting on November 13 at noon Eastern Time (ET). This coin is the fifth and final release of 2018 in the America the Beautiful Quarters® Program. The Mint produces the coins in the rolls and bags at three of its six facilities: Philadelphia, Denver, and San Francisco. The three-roll set contains coins from all three facilities. Unlike the “P” and “D” mint mark quarters, those with the “S” mint mark will not be released into circulation. The Mint accepts orders online at www.catalog.usmint.gov and at 1-800-USA-MINT (872-6468). Hearing and speech-impaired customers with TTY equipment may order at 1-888-321-MINT. Information about shipping options is available at www.catalog.usmint.gov/customerservice/shipping.html.